Grameenphone Limited is the leading Telecom operator in Bangladesh where a strong & organized Human Resource Management internally called as ‘People & Organization’ is always working for the formulation of HR strategies for the betterment of the employees as well as to achieve the ultimate organizational goal. Grameenphone Limited takes its employees as human capital. Here our objective of study is to discuss about telecommunication business in Bangladesh, to learn about the Training Program of Grameenphone Ltd, to learn about the important environmental influences effecting, to learn about the Organizational Culture, to discuss about Training and Development, to develop and recommend some implement suggestive measures. The quality of employees and their development through training and education are major factors in determining long-term profitability of telecom business as Grameenphone. Training often is held for new employees and existing employees in this company cause the technology of telecom business changes frequently. The long term objectives are increased productivity, reduced employee turnover, and increased efficiency resulting financial gains, decreased needs for supervision, to adapt with the organizational culture. Employee training is the planned effort of Grameenphone to help employees learn the job related behaviors and skills they will need to do their job properly. It is a set of planned activities of Grameenphone that will have their employees complete in order to increase their job knowledge and skills and to have them get accustomed to the attitudes and social atmosphere of the company. It will help the employee to be familiar with the goals of the organization and the job requirements. There are typical steps that go into a training program. Training programs can help workers to increase their efficiency levels, improve quality and thereby increase sales for a company. Training program results introduced supervision, reduction in wastage, less turnover of labor, helps new employees, union management relations, better career opportunities, high rewards, increased motivation, group efforts, promotion etc. Grameenphone Limited is an existing company, and is the leading cellular service provider in Bangladesh operating a nationwide. Over the past few years the use of cell phone brought about tangible changes in the lifestyle of the people of Bangladesh. Today, a cellular phone is a mere necessity. From a small retail trader at Karwan Bazaar to a remote villager uses cell phone. Four companies are operating in the mobile phone sector in Bangladesh. Grameenphone, Citycell, Aktel and Bangla Link. Among them the services of Grameenphone appear to be comparatively better in terms of nationwide networking, customer handling, trouble shooting, billing system etc. Grameenphone (GP) has been established to provide high quality GSM cellular services at affordable prices. In addition to providing prepaid and postpaid cellular phone services, the company also assists in a -Village Phone- service by being the sole provider of telecommunications services to the Village Phone operators. The Village Phone service provides rural connectivity to approximately 30 million people. Grameenphone’s total capitalization was US$120,000,000; including around US$50 million from IFC/CDC, and the Asian Development Bank (ADB). It also received US$60 million in equity from the four Grameenphone private partners. “Grameenphone” might have been born in Bangladesh, but soon it is likely to join the international cellular jargon. GSM MoU Association at GSM World Congress in Cannes where many villagers made their first-ever call using pre-paid, recently rewarded rural cellular marketing, by Voda phone in South Africa. “Grameenphone” the unique cellular operator from Bangladesh, also made an impressive presentation at Cannes. Grameenphone Limited, the number one and leading mobile phone company in the area of telecommunications in Bangladesh. Of Six mobile operators, Grameenphone Limited managed to grab 43.9% of the market share only by providing cost-effective & best service available in the market of mobile telecommunication. Grameenphone Limited has made its expansion not only in the urban areas, but also it stretched its network in the rural areas for the economic empowerment of the rural people. It has the largest network, the widest coverage, the biggest subscriber base and more value added services than any other mobile phone operators in Bangladesh. Grameenphone Limited has a very strong competitive position in the telephone industry in the country. You will be able to use all these services whenever you need them, wherever you are. All you need is to have a GP mobile phone to get these services. Helps in providing better service. 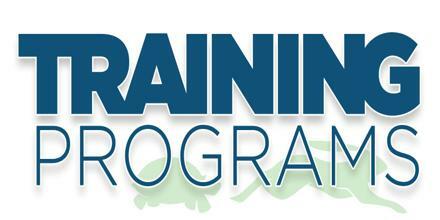 Training programs are conducted mainly for 2 categories of employees. One is for the new employees and the other is for old employees. From my observation it’s found that employees’ conditions are always improved through training. New employees are introduced with the organization environment, various software, product and services and receive conscience about corporate culture and work description through orientation training. Moreover work stress and stress management are also points of interest in these trainings. Through Code of Conduct training, an employee can get to know his/her dos and don’ts and actions against any violation conduct. This training helps employees to rely in virtue, dependency, morality and have faith in organization’s equal judging policy and thus organization becomes able to shape employees’ character at a great level. This training inspires employees who have become obsessed or frustrated about work. So training is very important for old as well as existing employees. Training is the acquisition of knowledge, skills, and competencies as a result of the teaching of vocational or practical skills and knowledge that relate to specific useful competencies. The quality of employees and their development through training and education are major factors in determining long-term profitability of a small business. If organization hires and keeps good employees, it is good policy to invest in the development of their skills, so they can increase their productivity. Training has specific goals of improving one’s capability, capacity, productivity and performance. It forms the core of apprenticeships and provides the backbone of content at institutes of technology (also known as technical colleges or polytechnics). In addition to the basic training required for a trade, occupation or profession, observers of the labormarket recognize as of 2008 the need to continue training beyond initial qualifications: to maintain, upgrade and update skills throughout working life. People within many professions and occupations may refer to this sort of training as professional development. Training programs can help workers to increase their efficiency levels, improve quality and thereby increase sales for the company. Reduced supervision: When workers have been formally trained they need not be supervised constantly. This reduces the work load on the supervisor and allows him to concentrate on other activities in the factory. Reduction in wastage: The amount of material wasted by a trained worker is negligible as compared to the amount of material wasted by an untrained worker. Due to this the company is able to reduce its cost its cost of production. Less turnover of labor: One of the advantages of the training program is that it increases the confidence of employees and provides them with better career opportunities. Due to this employee generally do not leave the company. There by reducing labor turnover. Training helps new employees: A person, who is totally new to the company, has no idea about its working. Training helps him to understand what is required from him and helps him to adjust to the new environment. Union management relations: When employees are trained and get better career opportunities. The union starts having a possible attitude about the management. They feel that the management is genuinely interested in workers development. This improves union management relations. Better career opportunities: Training programs provide the latest information, develops talent and due to this the employee is in a position to get better jobs in the same company or other companies. High rewards: Effective training programs result in improved performance. When performance appraisal is done excellent performance of the employee is rewarded by giving him incentives and bonus. Increased motivation: Employees who have been trained are generally more confident as compared to others. Since their efforts will be rewarded in future they are very much interested in improving their performance. Therefore we can say that their motivation levels are very high. Group efforts: Training programs are not only technical programs but are also conducted in areas like conflict management, group dynamic (formal and informal groups), behavioral skills, stress management etc. this enables employees to put in group effort without facing problems that groups normally face. In other words tracing teaches people to work in a group. Promotion: People who attend training programs learn from them and improve themselves are generally considered for promotion. Thus training increases chances of promotion. Increase efficiency resulting in financial gains. To adapt with the organizational culture. Able to adapt with the organization culture. To learn about the Training program of Grameenphone Ltd.
To learn about the Organizational Culture of Grameenphone Ltd.
To develop and recommend some implemental suggestive measures. The Report is prepared on a real life study with the text perspective in a practical way. Literature review – A wide range of literature will reviewed to gather necessary information about the subject matters of this study. These literatures include the texts, profile, annual reports, documentation, different Manuals etc. Observation – A thorough and insightful observation will be conducted on the various Administrative, Interventional and Marketing philosophies, approaches and practices to collect benchmark information. Interview – Study and information gathering through interviewing employees and personnel involved in the ACI’s interventions, administration and other activities. Field visits – Visit to the field level activities to generated vital information and enhanced the study. Discussion – Discussion with the staffs and other related persons to generated benchmark information for the study as a comprising tool and also important instructions from the project supervisor. GP provides both local and overseas training on the basis of the need analysis of the employee. Induction/Orientation training Program falls under inside GP training category. After joining, it is the responsibility of the HR to conduct induction/orientation training to the newly recruited personnel to provide a general introduction of the company. To prepare training plan, participant’s list, and training schedule for induction training – HR department does all. Inside GP training will cover Management training and Department training in near future. Outside GP training means to take part in training programs offered by different training institutions/universities on different subjects. After need assessment employees who need overseas training are sent abroad for overseas training. Expenses of overseas training are generally borne by GP. The particular employee who has been selected for training has to sign a surety bond for specific period of time for overseas training. Firstly, general guidelines describe the rationale behind this document, namely the importance of communicating corporate values and for employees to adopt them. This section includes broad, overarching topics such as human worth, working environment, health, loyalty and confidentiality and reporting/disclosure among others. The second section refers to the relationship with customers, suppliers, competitors and public authorities. The main message here is that all stakeholders should be treated with respect and that unethical interaction, such as receiving expensive gifts and services are unacceptable. The third section looks at the employee’s private interests and actions in relation to the company. Here political activism and other external duties are encouraged up to the level where it will not interfere with their work at Grameenphone. The last section emphasizes that all misconduct or indeed suspicions of such activity must be reported immediately. It ensures the employee that no reprisals will be undertaken towards them. In other words: whistle-blowing is allowed and promoted. The most important aspect of this document is its comprehensive approach to conduct. In relation to this point it is important to note that it is mandatory for all Grameenphone employees to sign a document agreeing to comply with this code. Grameenphone organizes in-housetraining programs for its employees. Senior staff, inhouse trainers, or consultants hired for special purposes provide such training. Grameenphone provides need-based training to the employees through using appropriate external training institutes. The company also sends selected employees to other countries for attending need-based technical or management training. The overall training process will be followed the computer based training, lecture method and simulation based training. As the training is to train the trainees about overall customer service division, these three methods would be the best solution. Here the trainers will train the trainees how to operate the software, how to maintain information, how to solve critical situation, how to make the subscriber happy with the services. For different and maximum reasons some interactive multimedia system will be used too. When a new employee joins the company, s/he needs to be introduced to his/her job as well as to the company. The objectives of the orientation is to welcome the incumbent, orient him/her about the company’s vision, purpose, values, shareholders, service rules, divisional activities etc. This makes a new recruit feel s/he is part of the Company. Orientation program includes brief ideas about the company, its vision, mission and goal which is very important for the employees to understand because the goal of different department and ultimately the goal or target of the employees are set according to the goal of the organization. They are also introduced with the Customer Service (CS) department and given a brief idea about the department. A Code of Conduct is clearly defined regulations adapted by the company and are approved by the board of directors for securing good business ethics and conduct all aspects of company’s activities. The code of conduct are properly communicated to all the employees, the very day they join in the organization who are strictly required to abide by it. In this segment of the training session, the trainees are given idea about the corporate culture of Grameenphone. They are also notified about formal dress code for males from Saturday to Wednesday and ‘Smart Casual’ in Thursday and for females there is no fixed dress code but one thing they have to maintain is that the dress must be ‘Modest’ according to our local values and customs. Since the newly recruited customer managers have to serve the valued customers over the phone, answer various questions about products, services and their costs, at first they need to have a very clear idea about the products and services the company offers. This training is conducted throughout the whole training session. The trainees, when they will be on productions, will have to operate different types of tools and software’s to execute the subscribers’ query and requests. So there is computer training in between the two weeks. The CS Department uses various types of tools and software’s to control or view the profile of the subscribers. For example, MINSAT and CCAS for controlling prepaid subscribers, BSCS and CCAPS for postpaid subscribers. Moreover, they use CRM for keeping track of the subscribers query, complain and request. So, software training is a crucial part of the whole training session. The training session, taken by CS Department also encompasses some miscellaneous issues, which are directly related with the health, safety, security and environment of both the employees and the organization. For example –training session on Fire Extinguishing is conducted where the employees are taught particularly how to use fire extinguisher equipment. They are given training on how to perform physical relaxation during work to minimize work stress. They are also given training on first-aid related issues. Usually the above mentioned training program takes for the first 15 days of the training session. In the rest of the days of the training, the trainees are usually sent to the different floors of the contact center for attachment with senior colleagues for practical experience. This time they gain practical experience about the job. Most of the time, they sit beside the senior colleagues and learn how to deal with customers and to satisfy them. They also receive calls from subscribers directly during this time and learn how to talk to them. This industrial attachment is very helpful for the trainees because there is nothing like practical experience and they come to know many different situations that are usually not covered in the training period and not always possible to do. After completion of the above mentioned training and Attachment session, a test named ‘Password Test’ is taken by the PM members or manager where trainees are asked different questions about products, processes, tools and problems. Trainees, who successfully pass the test, are given passwords for using various tools that they use to provide service to customers when they are in production. Employees who cannot pass the test need to go through another three days training session, where they review all the things over again. After that, they are given the password for various tools. After passing the ‘Password Test’, they are handed over to the production floors, to respective teams and to their team leaders where they will be in industrial attachment for some more days and finally included in the roster of production. Often an essential component of organizational training and development, Training Needs Analysis surveys provide a picture of the organization’s needs. These surveys can be used to measure employee training needs on a variety of issues affecting company performance. Person Analysis. Analysis dealing with potential participants and instructors involved in the process. The important questions being answered by this analysis are who will receive the training and their level of existing knowledge on the subject, what their learning style is, and who will conduct the training. Do the employees have required skills? Are there changes to policies, procedures, software, or equipment that require or necessitate training? Use assessment instruments for which understandable and comprehensive documentation is available. Are any of these KSA’s required before the employee is hired? Are the required KSA’s included in any job postings or advertisements? Do they need to be? Determine what resources are available for training. What are the mission and goals of the organization in regards to employee development? What support will senior management and managers give toward training? Is the organization supportive and onboard with this process? Are there adequate resources (financial and personnel)? Interview is taken to subject matter experts (SME’s) and high performing employees. Interview the supervisors and managers in charge. Review job descriptions and occupational information. Develop an understanding of what employees need to know in order to perform their jobs. Organize the identified tasks. Develop a sequence of tasks. Or list the tasks by importance. Are their differences between high and low performing employees on specific work tasks? Are there differences between Experts and Novices? Would providing training on those tasks improve employee job performance? Most employees are required to make decisions based on information. How is information gathered by the employee? What does the employee do with the information? Can this process be trained? Or, can training improve this process? Develop a model of the task. Show where the decision points are located and what information is needed to make decisions and actions are taken based on that information. This model should be a schematic or graphic representation of the task. This model is developed by observing and interviewing the employees. The objective is to develop a model that can be used to guide the development of training programs and curriculum. This technique is used to identify which employees need the training. Review performance appraisals interview managers and supervisors. Look for performance measures such as benchmarks and goals. Are there differences between high and low performing employees on specific competencies? Would providing training on those competencies improve employee job performance? It is helpful to have an organized method for choosing the right assessment for your needs. A checklist can help in this process. Checklist should summarize the kinds of information discussed above. For example, is the assessment valid for organization intended purpose? Is it reliable and fair? Is it cost-effective? Is the instrument likely to be viewed as fair and valid by the participants? Also consider the ease or difficulty of administration, scoring, and interpretation given available resources. Training evaluation is used to evaluate the reactions of the learners, measure the learning that occurred, assess on-the-job behaviors, identify business results that are due to the training and calculate if the investment in training has had any return in the gains of the company. Business results can be measured in “hard” data and “soft” data. Hard data are measures of productivity, quality, material costs, absenteeism and turnover and customer satisfaction. Soft data is items such as job satisfaction, teamwork, and organizational commitment on the part of the employees. Employee training is the planned effort of an organization to help employees learn the job related behaviors and skills they will need to do their job properly. It is a set of planned activities that the organization will have their employees complete in order to increase their job knowledge and skills and to have them get accustomed to the attitudes and social atmosphere of the company. It will help the employee to be familiar with the goals of the organization and the job requirements. There are typical steps that go into a training program. These are outlined below. Grameenphone Company is still a growing company in spite of all the success it has achieved so far. It holds a kind of a monopoly position in the mobile telecommunications market. Completion is always on the lookout for new ideas and schemes. In order to maintain no: 1 position GP use to follow many strategies like business level strategies, functional level strategies, global level strategies & corporate level strategies. In this company HR department should give more concentration on employees’ rights and benefits.